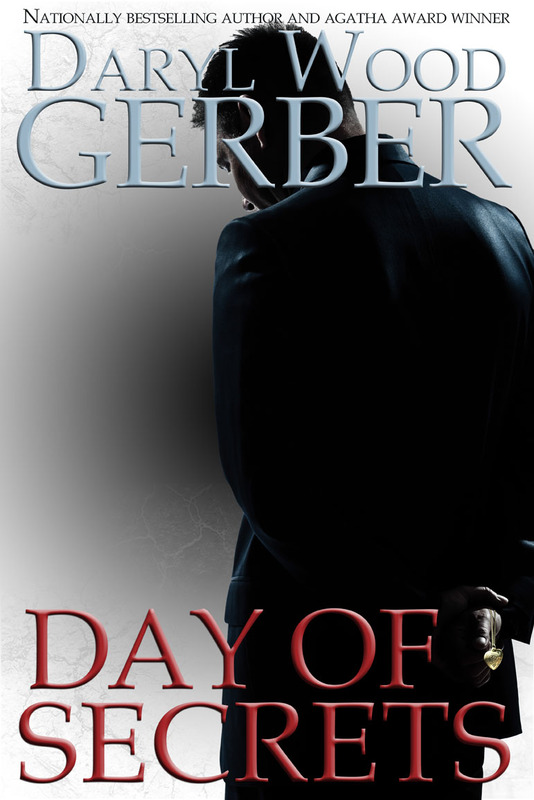 Giveaway and cover reveal below! 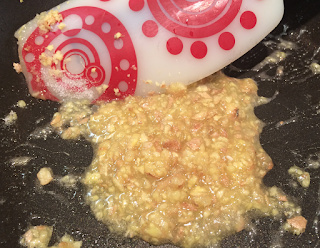 After making curry last week, I had an extra chunk of ginger left over. I hate having something in my refrigerator that I "know" I can use, but have no idea what to make. 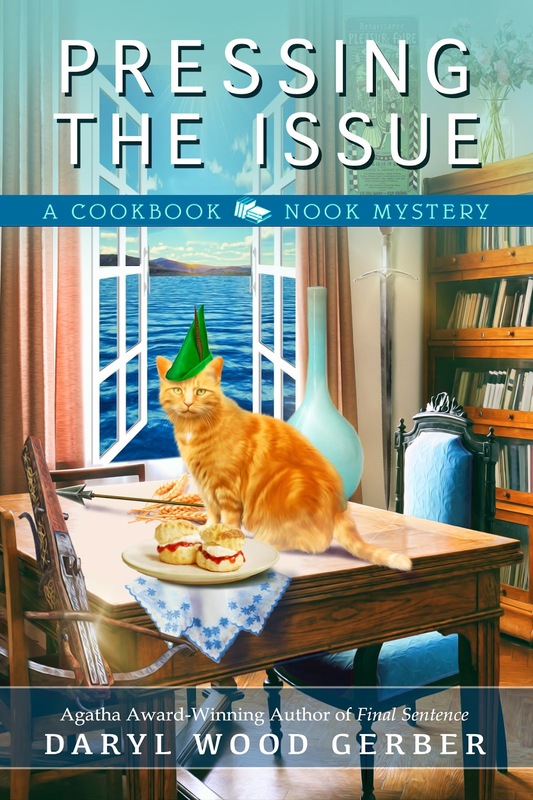 Plus there's a "ginger cat" in my Cookbook Nook Mysteries, so I simply had to honor Tigger in some way, right? 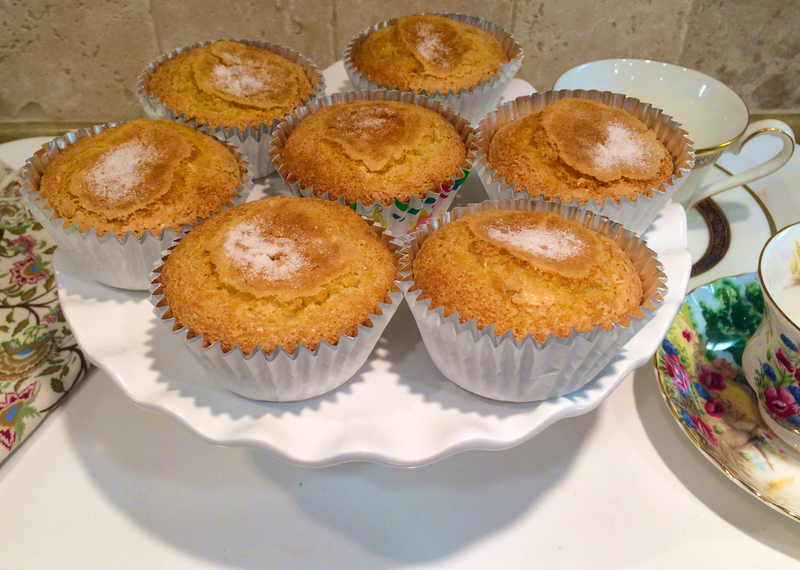 I went searching online for a recipe for ginger muffins. I love muffins. 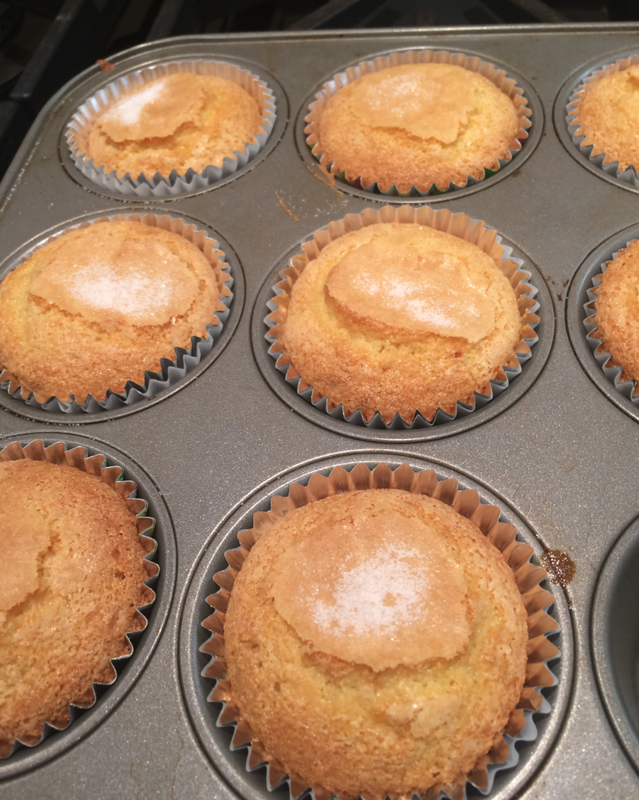 I found one recipe, but it made a huge amount of muffins. It also included buttermilk, and I didn't have that. And it used regular flour. 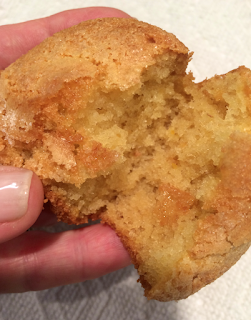 I cut the recipe in half and used a lot of lemon juice to flavor these little gems. Warm out of the oven? Heaven! Yes, I made them gluten-free, but if you can eat regular flour, just substitute the gluten-free flour with regular and omit the xanthan gum. You can probably omit the whey powder, too. However, TIP: I use that to keep my gluten-free baked items from drying out too fast. The lemon zest and lemon juice give these muffins a nice kick. The recipe says to keep the skin on the ginger. Really? Yep. That's the way it was done. It adds to the flavor! Having a food processor really helps. I'm not sure these would taste the same if the ginger was simply "hand-chopped." But if you don't have a processor, give it a go. Grease or line 8 muffin pans. 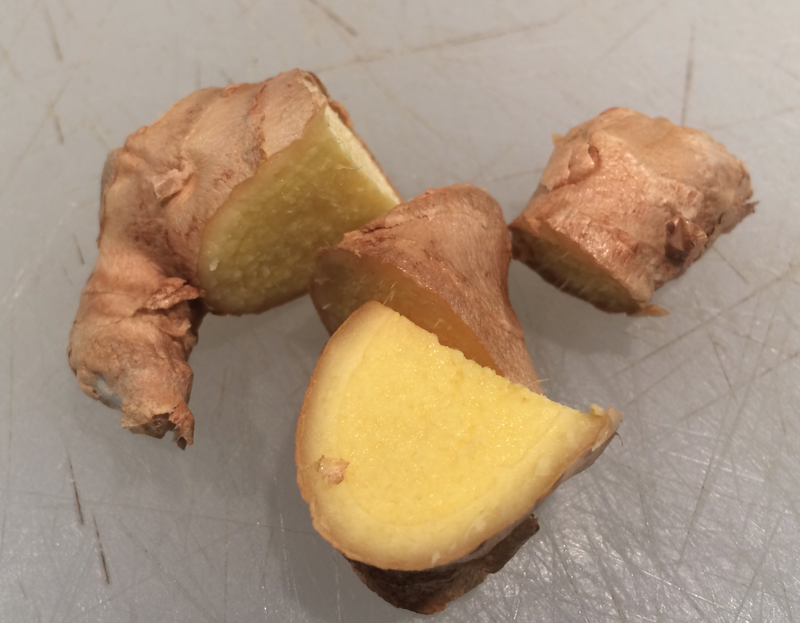 If you have a food processor, cut the ginger into cubes, and then process the ginger until it is in tiny pieces. Or, hand-chop it into fine pieces. You should have about 2 tablespoons. It is better to have too much ginger than too little. Put the ginger and 2 tablespoons of the sugar in a small skillet and cook over medium heat until the sugar has melted and the mixture is hot. Do not walk away - the sugar will melt quite quickly. Remove from the heat and let the mixture cool completely. 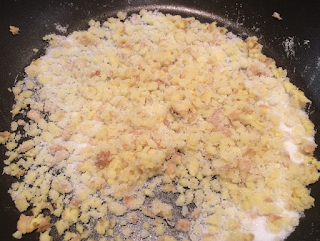 Grate the lemon zest into the food processor. 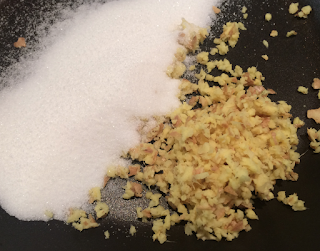 Add 1 1/2 tablespoons sugar and process together. 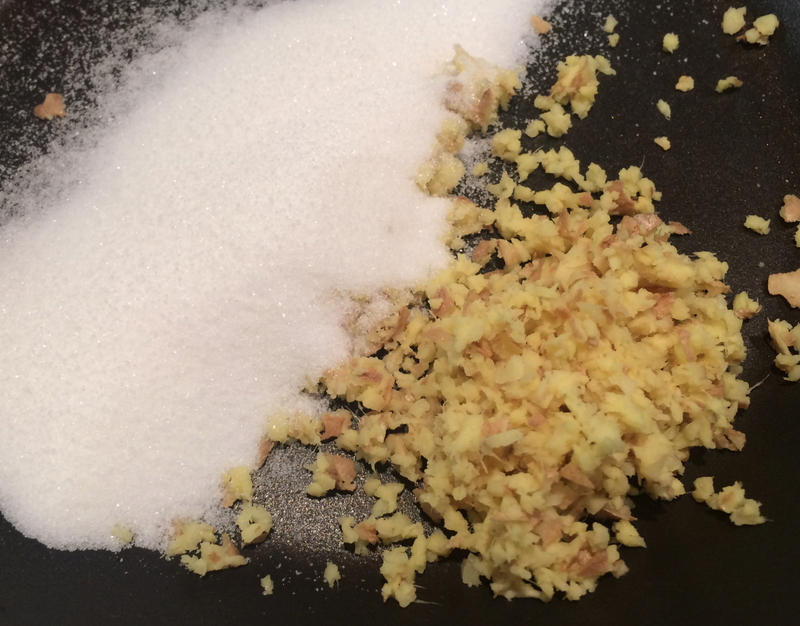 Add the zest mixture to the cooling ginger mixture and set aside. In a medium mixing bowl, beat the butter slightly, then add the remaining 4 tablespoons sugar and beat until smooth. 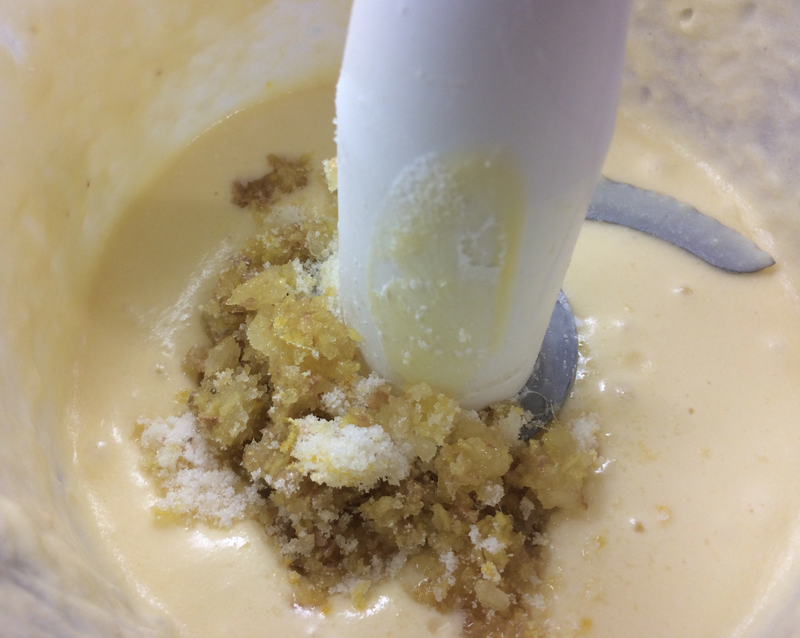 Add the egg and the 1/2 cup lemon-milk mixture and mix until blended. Add the gluten-free flour, xanthan gum, whey powder, baking powder, salt, and baking soda and beat until smooth. Add the cooled lemon-ginger mixture and mix well. 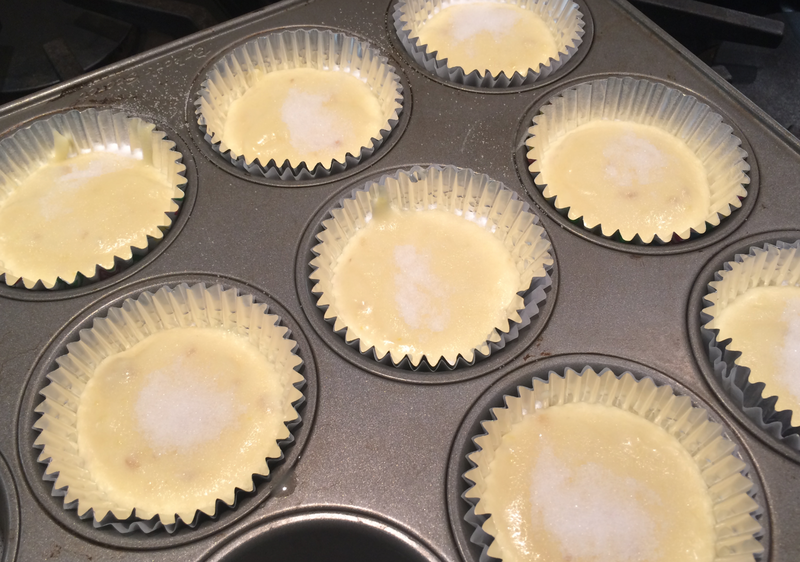 Spoon the batter into the muffin cups so that each cup is about 3/4 full. If desired, sprinkle with a dusting of granulated sugar. Bake 15-20 minutes until a toothpick comes out clean. Serve warm. 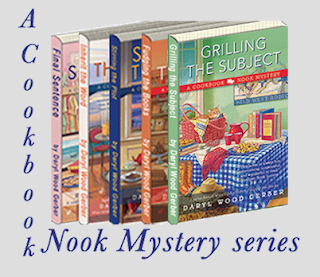 On February 20, the 6th Cookbook Nook Mystery comes out. Yay!!! Welcome to Crystal Cove, where the annual Renaissance Fair serves up a helping of crafty courtiers, damsels in distress, and medieval murder . 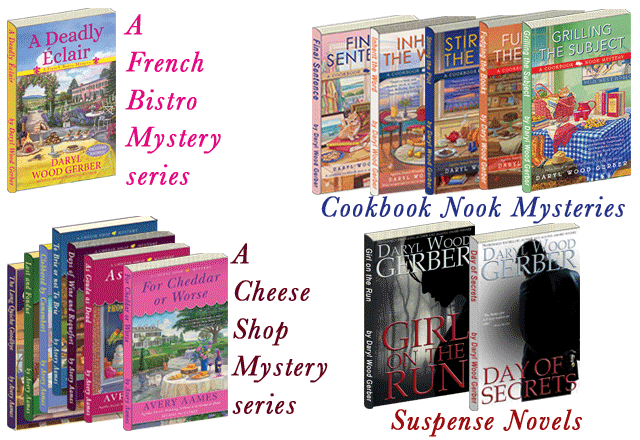 . .
As the annual Renaissance Fair comes to Crystal Cove, Jenna Hart’s Cookbook Nook is packed with tasty treats and all things medieval, while her pal Bailey is ready to swoon over her upcoming nuptials at a local vineyard. But when the two friends discover the body of the vineyard’s owner bludgeoned by a wine press, all their merriment fades, along with their hopes for a vintage year. Which churlish varlet did the deed? Was it the victim’s errant brother, who stood to inherit the vineyards? Or the owner’s crestfallen ex-girlfriend? Mayhap it was the newly arrived lusty wench, or her jealous husband. Fie on them all! 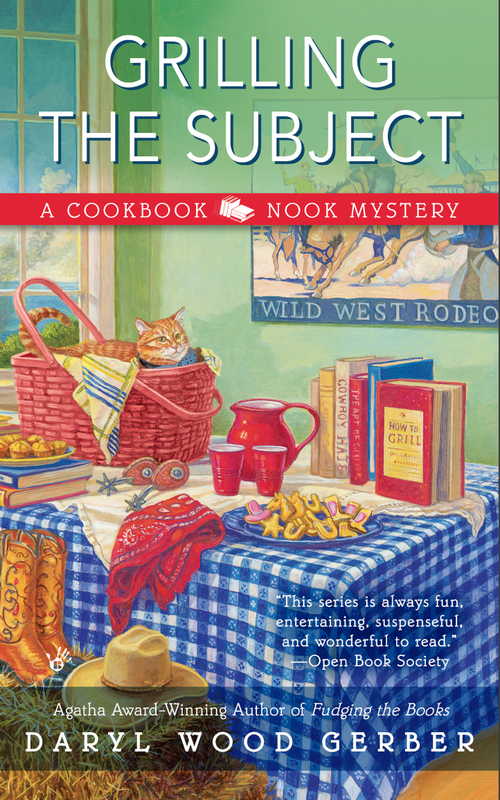 Verily, Jenna can’t rest until justice is served, and she vows to track down the killer. 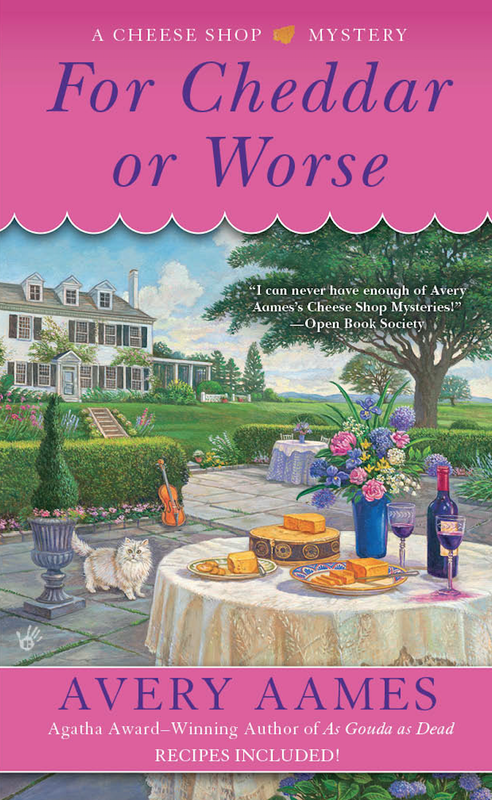 But can she sniff out the truth before the villainous culprit strikes again? 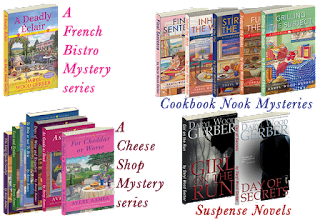 To celebrate, I'm giving away to one commenter her choice of any of the first 5 titles in the series. 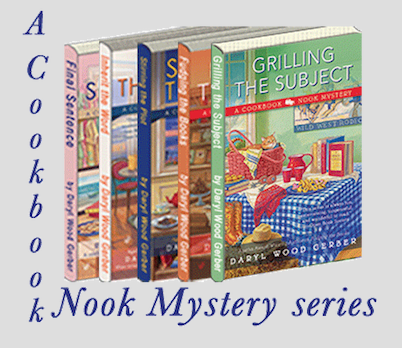 Tell me what you think the title for book 7 should be. It needs to have a foodie type word and a bookish type word in it. It's set around Christmas. Ready, set, go! (It's not easy; I must warn you.) If you don't have any ideas, tell me what Christmas theme you think I should focus on. I'll announce the winner Saturday. 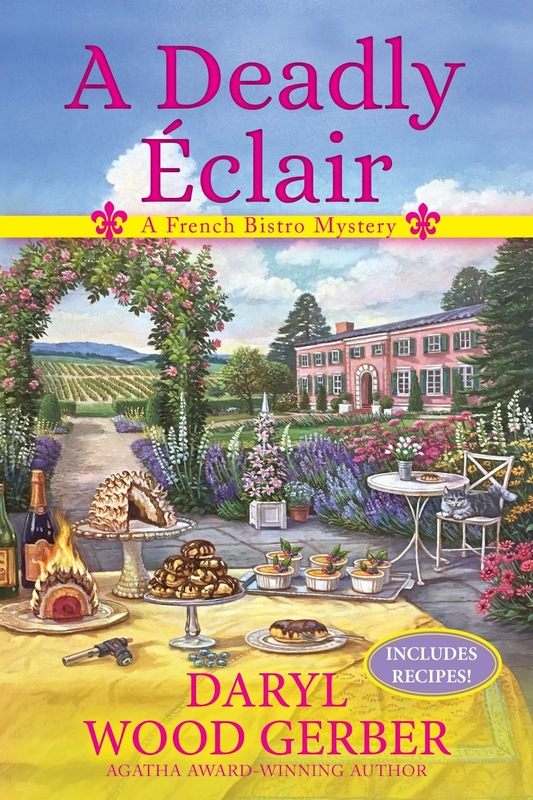 A DEADLY ÉCLAIR, the 1st in the French Bistro Mysteries, is coming November 2017. 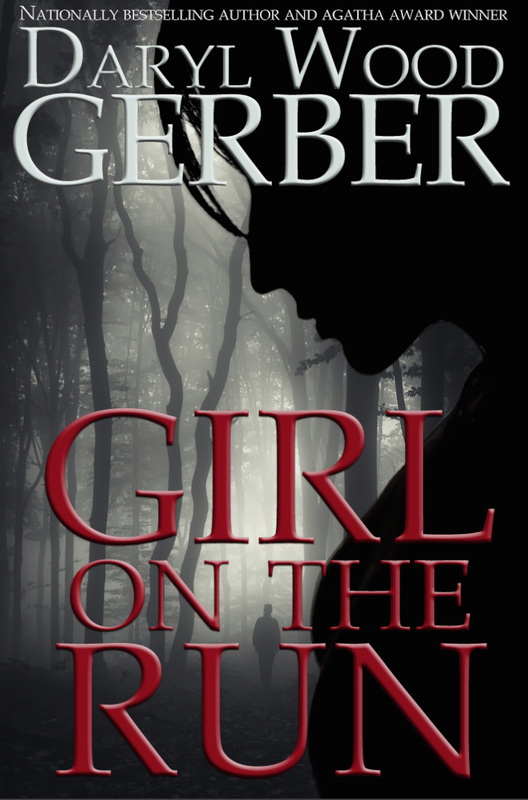 Can Mimi clear her name before the killer turns up the heat? Click here to order. The Wild West Extravaganza has come to Crystal Cove. Finally there's going to be a cheese festival in Providence! A mother he thought was dead. A father he never knew. An enemy that wants them dead.